Here is a commissioned piece I did for my good friend and fellow doula Pauli. 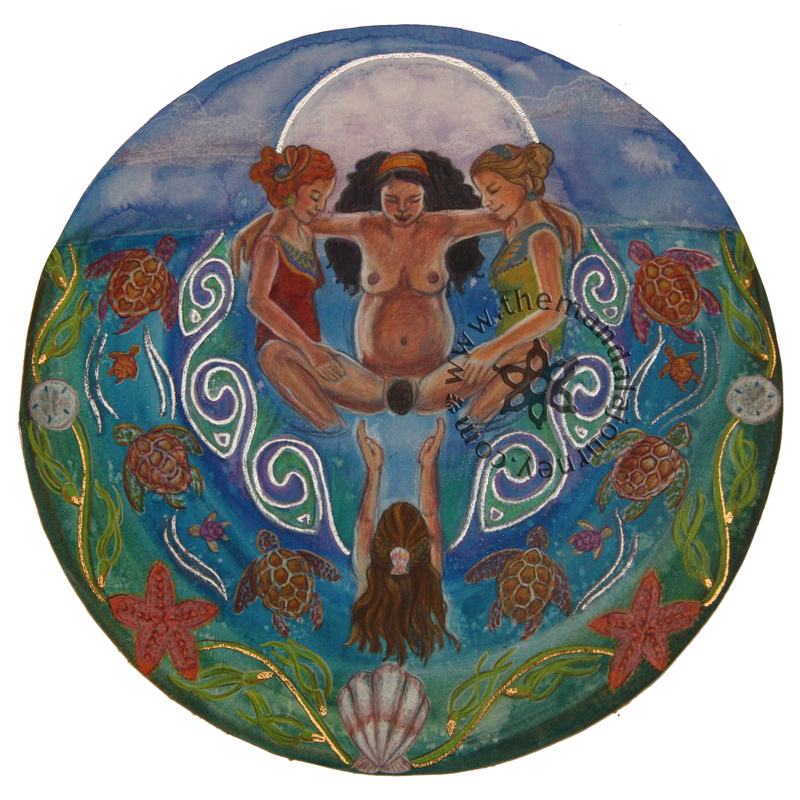 She wanted a beautiful crowning waterbirth. I would love a copy of this, it is so awesome! I love your work! Thanks Lacey! I’m not doing prints of this one but I’m planning on doing a piece similar soon. I’ll keep you posted! 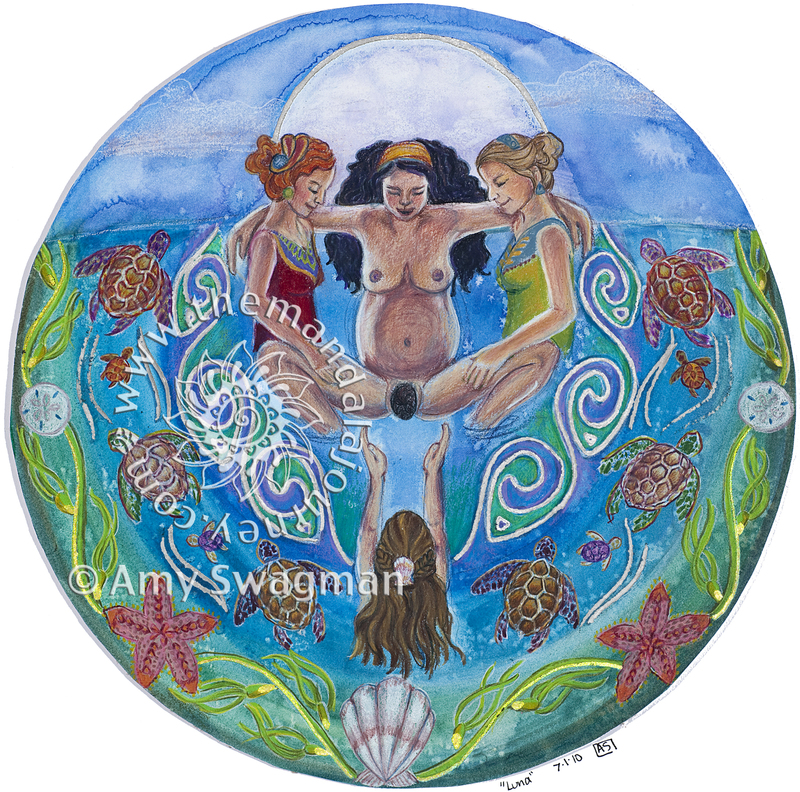 I would love to have a print of this for a dear friend that was my doula at my home birth and now is on the midwifery path on the coast of NC. Please let me know if you bring this print back and I can’t wait to see the similar one! I love your work it is so heartfelt and beautiful! As a doula and Birthing From Within Mentor, I just want to purchase it all and give them out to the families on their journey through birth. I LOVE this picture! I would love a large (16×20) copy of this!